In recent decades there has been no significant progress in the understanding of the UFO phenomenon, and particularly in some of the most confusing and perplexing as aspects are, for example, close encounters. In 1969 the famous researcher Jacques Vallée UFO revolutionized the international scene with his extraordinary book "Passport to Magonia" to present a new vision of the enigma. Vallée In this work laid the foundation for a better understanding of the unidentified, to relate not so mythological occurrences of elves, fairies, elves, etc. in past centuries. These apparent similarities between fairy rings and saucers nests, kidnappings and abductions elves, etc. they raised hackles among those who defended the extraterrestrial hypothesis (nuts and bolts). He described the UFO phenomenon adapted its manifestations (adapting its external appearance) at the time when the witness lived, appearing with the times running. He defined this phenomenon as a control system that somehow "controlled" or "manipulated" to humanity through his appearances throughout history. 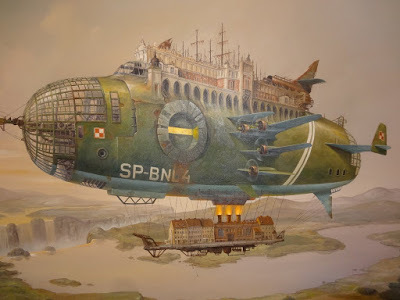 He commented the famous wave of strange devices (air-ship) to the end of last century, where the alleged "aliens" today, scientists presented themselves as pioneers experiencing new hitherto unknown aerial devices. In the pages of "Passport to Magonia" linked to UFOs and their crews to other phenomena that had previously gone unnoticed by many researchers: "The mechanism of appearances from the legendary and historical to modern times is always the same and follows the model of religious miracles. Several cases, bearing the official endorsement of the Catholic Church (Fatima, Guadalupe, etc.) are no longer in reality, if we apply the definitions rajatabla- that UFO phenomena in which the be associated therewith has delivered a message that relates to religious beliefs and no fertilizers or engineering, as in other cases. " In his book "Chronicles of Other Worlds" (1988) extended the information when he said; "The phenomena we call UFOs are not, strictly speaking, not objects or flyers. 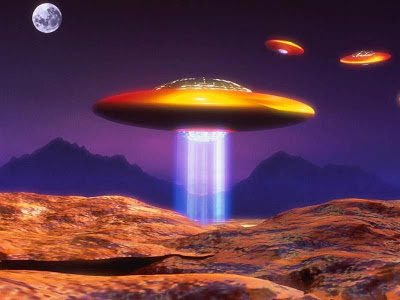 They can dematerialize (...) The UFOs have been seen throughout history and have always received an explanation within each culture (...) The human contact between witnesses and the UFO phenomenon always occurs in conditions controlled by the latter. Its characteristic is an absurdity factor leading to the upper layers of the society in question to reject the story. The symbols transmitted by the meeting are absorbed at a deep level. " Such was the depth of his lectures, even Dr. Joseph Allen Hynek, considered until his death (1986) the world's leading authority on UFOs and father of scientific ufology extraterrestrial reality doubted, in some eloquent statements made in 1976 to magazine "UFO Report": "I must say that the theory is naive Extraterrestrial ... we must consider the various factors that indicate a link or at least a parallel with episodes of paranormal nature very clearly." Dr. Hynek joined those who believed in other dimensions or parallel universes, that live alongside ours, as a possible origin of UFOs. Theorized in 1976 on how they could access our dimension.. "If we have these interconnected universes chances of passing from one to another they are very small But there may also be a trick to do the trick of the mind-over-the-matter. The body experiences may be an example. " The American researcher Dennis Stacy, in the book "UFOs definitive answer" by John Spencer (1992), considered that "America could be the refuge (if not the last bastion) call Extraterrestrial Hypothesis". Stacy goes even further in his verdict when he writes: "Arguably, every place and people not only ufologists it deserves, but also, apparently, the phenomenon has certain specific features in each country In the US these traits imply. apparently physical objects photographed and seen by a large number of witnesses such as Gulf Breeze, accompanied by a wave of abductions and a whiff of dead animal (...) Whether the case where only the searcher sees it they want to see, or cases of perverse joke masquerade, the phenomenon remains unanswered. " Ph.D. Michael Grosso, in the book "The imaginary Contact UFO" (1990), edited by Dennis Stillings, included an interesting article titled "UFOs and the Myth of the New Age" which reflected the following: "We should find points of connection between UFOs and other anomalous phenomena possibly related to them. "Big-Foot, visions of the Virgin, near death experiences," tunes "and various other things" The suggestive investigations lead him Grosso to formulate the "UFO phenomenon and other extraordinary phenomena are manifestations of a disturbance in the collective unconscious of the human race." "In my opinion -continued Grosso UFO phenomenon indicates the existence of some kind of intelligence which acts upon the human race. The action is both mental and physical time. The source remains unknown. (...) No I deny that some UFO reports suggest that intelligence is alien. But when we study the issue more closely we find that many of the phenomena belong to the psychic realm and the mythical kingdom. (...) If UFOs are psychic projections, will inevitably have collective significance. (...) Thus UFOs Grosso as the tuned-continuous entities with the afterlife, and guardian angels, would be part of a system of reality that we ourselves are creating. But to what end? It could be to warn us, to teach, to awaken our potential, to remind us that we are the creators of reality, to mutate into our minds and bodies, to accelerate our own evolution "
And although, as we see, Vallée approaches were accepted and amplified by many researchers and scholars, in recent years, coinciding with a general decline in world casuistry, they have not produced substantial progress in UFO thought. 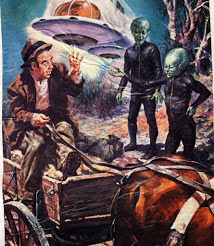 For some years we have developed a complex hypothesis, but in the simple background, it can bring a new approach to the mystery of UFOs, based on many of the works by famous researchers as Vallee, John Keel, Grosso, Salvador Freixedo, etc. . This is the theory of distortion. This hypothesis holds that an unknown foreign agent uses the psyche of the witness, "connecting" with her main source of documentation and reference for the "manufacture" of the contents and elements that come together in close encounters with UFOs exist. The symbiosis or communication of the mind of the observer and this undefined "operator" is capable of emitting a complex type of "holographic projection" that can sometimes be tangible enough to leave footprints and marks on the ground. The "projection" is developed, and never better, as if it were a movie starring in first person by the witness. The funny thing is that the outsider always adds some "own" the plot components that can be tracked and detected hundreds of different incidents and serving for further creative process by the mind of the observer. The discovery of this internal structure, that is the actual process of gestation of these appearances, shows that the alleged alien encounters hide other radically different phenomena. 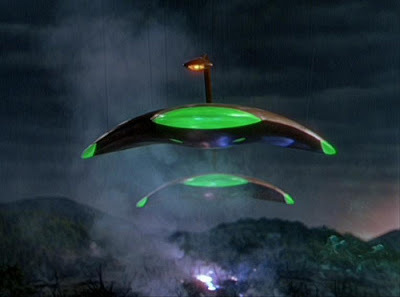 It remains extremely suspicious that regardless of the external form of the "flying saucers" and the colorful and almost infinite types of humanoid, they are delivered to repeat certain gestures and actions over and over again, as if all the "extraterrestrial civilizations "who visited us they had agreed to result in a same behavioral patterns over and over again. On many occasions the UFO aliens are described in "objects" (sticks, guns, balls, etc.) in their hands throwing light rays unsuspecting observers or, failing that, is the very "spaceship" the which emits these beams which usually immobilize or inconvenience witnesses not approaching the scene being observed. This characteristic, should be added so-called "Archetypes Basic Recognizable" (ABR) which are used by the external agent as the basis for design and development of the experiences. These are resources ABR and psychological mechanisms, presented in a simple and clear language, that help, among other things, to assimilation and interpretation of the experience, in a seemingly bizarre and baffling to the observer context. Since it is very common and allocable or extrapolated to a human explorer to undertake a space journey to another planet situations. Hence, on countless occasions, alleged aliens fervent surrender to study the terrain and around, digging even if necessary to take samples, to repair the spaceship (as if it were just as imperfect as our artifacts) or establish communication, nothing transcendental, asking for help to know where they are, to ask for water, or any other mundane, ordinary or absurd question. But above all are ideographic resources used to launch the construction of a perfect story of extraterrestrial visitation from a very human perspective. Then, the foreign agent, in tune with the unconscious permanent observer, adds the individual elements of each witness to complete the details and the action of the plot that will meet in the close encounter. Thus, by "mental communication", the foreign agent "adds" Unconscious incidents Components unique to each witness, making each experience, while retaining a common matrix, resulting in episodes, a priori individual and different products the imagination of the observer. But deep down, the anomalous experiences are only the result and outcome of development or staging of a same repetitive patterns (fault, exploration, reconnaissance, light beams, etc.) "adapted" and "molded" to personal knowledge and transferable witnesses and "recreated" so the theory of distortion called "Creative Dreaming": the ability of the witness to erect imagery experience from a "induced history", with similar mechanisms and processes the psychodrama recorded during sleep where the absurd is a sign of identity of a coded message unconscious. Therefore, almost all the above elements, including the indiscriminate use of light beams, can you find embedded in close encounters of half the world. Or would it be logical to find a uniformity of behavior in different aliens ?. Simply NO. It makes sense to think about is that the comments that have been tagging as close encounters with alien beings, hide a kind of unknown "psychological phenomenon", orchestrated by a foreign agent that uses the information contained in the psyche of the witnesses to "develop" part of the experience. 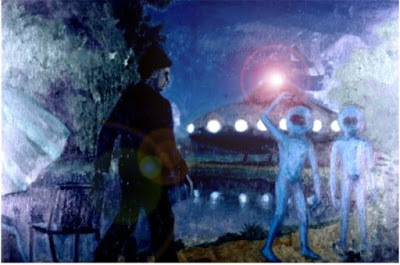 The method of expression used by the unidentified agent is the distortion of our individual unconscious content, which unfolds before the viewer's eyes with a similar approach to the dream experiences, but controlling and delimiting these experiences continue the schemes of "visitation alien ", which is the objective sought to instill. In this way you avoid the psyche of Witness "add" or "contribution" too incoherent materials and, above all, evidence that the human mind is one of the main origins of the nature of these phenomena. 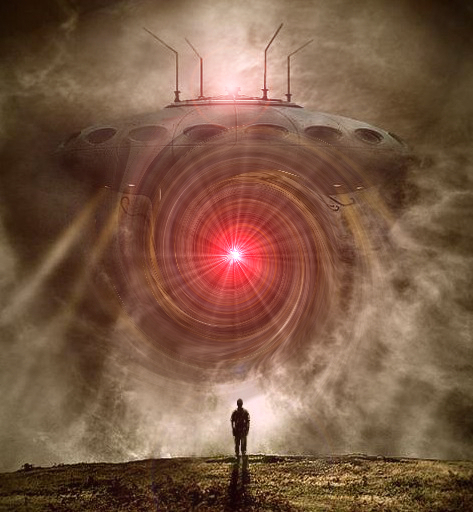 If the foreign agent does not exercise this authority or control over the "mental" creation in the gestation of close encounters, it is likely that within a flying saucer, more than one witness had seen members of his own family , friends or even your favorite player making the "role" of a stellar visitor. 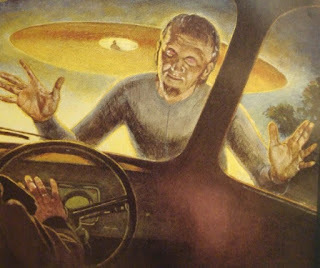 In short, the theory of distortion suggests that close encounters with UFOs and their crews, are the result of "Shared Mental Creation" from an unknown foreign agent and the unconscious of the witness. Therefore, the meaning, impact and purpose of these experiences is to be found on the mental plane. 1. Using a "holographic projection" (devoid of matter). This would explain countless episodes where UFO landings leave no trace after passing, although the terrain should be. 2. By a gifted scene matter where humanoids, ship and observed objects are apparently physical and tangible (material Efímera). But beyond the temporal existence, bounded in time and space phenomenon recreated for the occasion, nothing perceived, felt, or touched during the demonstration has a real, physical and continuous stay in our three-dimensional universe. Even if we dissect the type of trails and tracks that often leave visitors from space, these are perfectly matched to the type of evidence that anyone could assume in advance from ordinary injury from leaking oil or stain radioactivity however never They have appeared after a UFO landing marks really unpredictable and not allocable to a human landing space with terrestrial technology. The prints produced in landings are also the result of the distortion. AN ARMY OF ALIENS IN A "BUS SPACE"
One night in mid-September 1971, Juan Rodriguez Dominguez 80, melons watched a farm owned by a lieutenant general of infantry, called "The Lunarejos" in Aznalcóllar (Sevilla). About 22:00 Juan came very nervous and scared people telling a strange story. He told his neighbors that "something" very big, like a light bus, had landed in the area and had seen a mysterious humanoid down. Researchers JJ Benitez Ignacio Darnaude, Manuel Osuna and F. Laffite able to interview the witness. Juanjo Benitez as described in his classic work "after 100,000 kilometers UFOs," Juan Rodriguez observed only touchdown precise: "That is" aposó "about 200 meters, no more than one server, (...) Before I saw him a single step out of "traveler" (as referred to the people on the bus), in a row, as in schools, between 50 and 60 men ". The humanoids were short in stature and were in uniform with a tight blue dress in one piece. They had "visors" or "somewhat" that covered their faces. They moved in perfect formation, in two rows, without speaking, and "marching" like a small army. All were in the direction of an artesian well that was nearby. The witness noticed that 5 or 6 humanoids were around the artifact as monitoring the area. "They would not last two minutes when those little men took a light, somewhat like a flashlight and began to focus." Juan felt some discomfort in his eyes: "I hurt. Then I turned and ran to the cabin. But every time he poked his head, there was light. " Although John was armed with a shotgun, he never thought to use it deterred by the large number of humanoids in the area. In those moments he thought beings sent him a 'telepathic command "to be out of place. He did so, and the witness fled in fear to the people. In the race still he had time to see, when he turned his head, that humanoid deslumbrándole after him and continued with that strange light. At first, John thought, even that sighting could be an attempt to overthrow the regime of General Francisco Franco. In the place were many traces of small steps. In this incident we found several clues that can help us trace the tangible effects of the phenomenon of distortion. On the one hand, the obvious "military" background embedded in the experience seems to have clear origins. No wonder the witness Juan Rodriguez worked for a senior military officer and during his interview with investigators made constant references to the military establishment, including that at first thought that it was a secret military operation to give a coup in Spain. Hence humanoids behaved and dressed as soldiers. So the witness recounted his meeting: "I have seen many soldiers. Here and in the "tele". And those not appeared. Also I did not see them weapons and backpacks and caps. " On the psychic material for the production of "spacecraft" that fell over 50 "soldiers", we find it perfectly reflected again in the testimony of John himself when describing the similarity of the alleged UFO seen a single bus often in the village; "Yes, it was like the" traveler "insisted the old guard (...) What shape was that" traveler "? Elongated like a bus. ". Compare the earlier incident with a sighting occurred 16 years earlier in France. It happened on May 15th, 1955 in Dinan, Cotes d'Armor (France). About 00:15 hours, Mr. Droguet returning home, located in a university where he was employed, after seeing a movie at the cinema. When opening the patio door, she heard a strange noise. Then a beam of blue-green light hit him in the face. His knees buckled and hair bristled. In those moments he felt a vibration. In the courtyard of the university, the witness saw a huge artifact of about 12 meters in diameter, saucer-shaped dome, floating to 1.50 meters above the ground. Near the object, Mr. Droguet saw two beings, of 1.60 meters, wearing "something like a wetsuit," metallic gray, much like the Michelin Man. It seemed that they had realized the presence of the witness. They had a very thick helmet, gloves and belly had a small black box that came several cables. One of the humanoids seemed collecting "stones" of gravel, while his companion, who inspected the area, "He went to a window and looked the boiler room." The witness was very frightened. He found he could not move: he was completely paralyzed. Although not known whether by printing or by the action of light that will cast mysterious artifact. Mr. Droguet said he thought he saw, inside the object, a third crew member handling the "spotlight" while watching him. Then the two humanoids, moving with difficulty (as if he weighed the feet), were introduced into the device by a central black hole, at the bottom, where a metal ladder. He could hear the metal steps of beings as they went. Then he felt like "an aspiration of air" and increased device vertically above the trees in the area as he turned in complete silence. The lights of the object went out and stopped him. In those moments he regained mobility and fled to his home. The experience lasted about 15 minutes, although the witness they seemed more. The French researcher Henri Durrant said accurately in the magazine "Lumières Dans la Nuit", on the absurd collecting gravel road, that "aliens have little sense unless they were not really doing studies of geology, but a research on human urbanism ". In this event are latent check how some of the components that we observe in the sighting of Seville saved. We have a supposed alien landing 2 to inspect the ground, and a third is on the ship to "watch". In addition, the "vigilante" uses a means to "intimidate" the witness that we have recorded countless times, paralyzing light instrument. In both cases we analyzed accredit the external agent, still displaying some common components (UFO landing, ground and stun inspection lights), witnesses the use and develop its own "Creative Dreaming" giving them a patina of exclusivity in the context of a "history" created for every occasion. 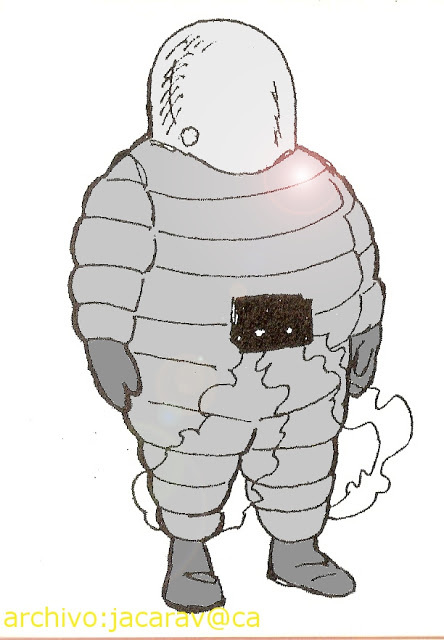 For example Juan Rodríguez prints to meet the military "content", incorporating a "battalion" of small humanoid recognition and an aspect of the spacecraft bus, and meanwhile, Mr. Droguet observed a humanoid like the famous Bibendum The Michelin man of French tire firm (physical appearance would be very present in the unconscious of any Gallic). Otherwise, the gear both experiences are based on a similar script: landing site survey (well or gravel) and use of light rays. But we see another example of how the theory of distortion can be applied to another close encounter playing with the same elements discussed above. This time we moved to South America to meet the interesting experience of Toribio Pereira, even, was widely investigated by the Brazilian military authorities. It happened on October 2, 1968, in the city of Lins (Brazil), where our protagonist, 41, worked with his tractor. About 06:00 am, while checking the oil level the vehicle, he was surprised to see a strange device that floated near the ground, about 30 centimeters approximately. Toribio Pereira from a higher position and about 8 meters away, could see perfectly well that it was an object of oval shape, golden color, and on top of which was a transparent dome. Inside the album had 4 chairs and a panel of different instruments to all that he had seen before in his life. The object could measure about 5 meters long and 3 meters high. Pereira was very scared and nervous about the presence of this rare appearance. At that time the witness discovered that there were 4 beings, 1.60 meters tall, human-like device around bright. The humanoids were almost identical to each other, very beautiful and with a face that reminded by their facial expressions, the children. They wore a blue robe that covered his head and body, and the bottom had a "kind of red skirt." The strange thing is that in his feet wore brown sandals with straps wound up near the knee. One of the humanoids was inside the object and carrying in his hand an object resembling an "electric drill" Pereira thinks that is a some kind of weapon. The rest of the things being discussed around the aircraft. One of them, using a "silver shovel" is digging in the ground, while other individuals Toribio approaches and examines the engine of his tractor. The crew was inside the object and guarding the witness, typed on a piano like a horizontal panel. In those moments, this humanoid stared at the witness and "shot" with his gun, a luminous ball that hit him in the stomach. The witness felt a sharp, excruciating pain in the belly that paralyzed completely, though he could keep watching and listening. Gradually, the beings returned to the appliance and took their seats. The object was rising slowly and suddenly and without a sound, disappeared at high speed in a few seconds. So belly pain began to subside, and the witness got out with difficulty from the tractor and went for help. On the way he encountered a friend, Ismael, a truck driver in the area, he moved to the town hall. Toribio Pereira was very weak and tired, his eyes had a big dark circles and was completely pale. Due to his state of nerves was examined by Dr. Antonio Geris, who found nothing abnormal about the unusual patient. After recovering forces went to his house, where he had several bouts of crying. Later, the witness was transferred by Brazilian military to an indeterminate army base where he stayed three days, being medicated and interrogated several times about what happened. Brazilian researchers believe that, possibly, the military belonged to the IV COMAR - Regional Air Command IV, of St. Paul, which at that time provided a UFO research group, the SIOANI - Air System Research unidentified objects, under the command of Brigadier Mayor Joseph Vaz da Silva. In his post-incident Toribio Pereira week lost almost 7 kilos of weight. Although the appearance of humanoid protagonists of this close encounter is radically different from the previous cases, we show in amazement as principal conductor thread of the plot still present the same "ingredients" set out above: landing, site survey and use of "paralyzing ray". Certainly the absurd dress of the crew, including "Roman sandals" follows a very personal contribution "added" to the psyche of the witness that perhaps his observation in nearby dates had seen in the movies or television actors such clothing . There can not be a more hurtful and ridiculous detail in an alleged encounter with extraterrestrial beings shoes they go so futuristic and nothing unreasonable manner. This particular absurd detail that would be elevated to the rank of impenetrable enigma by some researchers, no longer a mere incidental aspect of the experience results from the interaction of the human mind in the formation of the elements, utensils, clothing, footwear, etc. . the close encounter. A descriptive example of this mechanism would be that of a teacher (in the role of the external agent) request their students (which would be our prospective witnesses) prepare a narrative or story that contains the following elements: a forest, goblins and a treasure. Although all start from the same creative base, the development would be different from one student to another depending on the imagination and the same culture (TV, film, literature, comics, etc.). Some narrate a fable with an army of valiant and stout elves and others on the contrary would write only about a lonely, tiny elf. In all three cases, we have reviewed in the present work we found some common components: landing UFO landing humanoid, inspection and study of the land, and the use by a "caretaker" of a "ray of light" defensive about the witness. In all three incidents the "Creative Dreaming" of each observer displays the scene differently, adding, among other things, the specific type of humanoid and other circumstances of the encounter. Therefore, as we have seen, soon we try, we find a common backbone in the internal structure of close encounters that are essentially the root from which arise all the experiences, while maintaining their intrinsic differences that result from the " Creative Dreaming "personal of each witness and serve to the evolution and growth of the experiences as independent and unclassifiable stories.